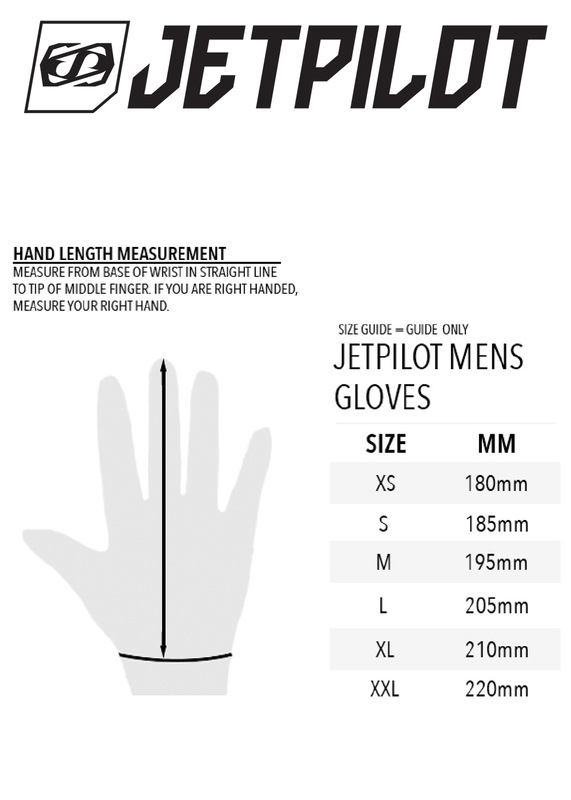 The Jet Pilot Phantom Super Lite Glove is a premium quality Jet Ski glove, or paddle glove, that provides superior grip thanks to the silicon palm and finger print.The glove is mostly polyester apart from Clarino's heavy duty synethic leather making up the palm material, doesn't get much more durable than that. Sublimated Ultra-Lite One Piece Upper: Sublimated graphic means it'll never wear out or rub off. One Piece Clarino Palm And Reinforced Thumb Panel: Greatly increased durability as a result of implement Clarino's technical materials. Embossed Airprene Cuff: Comfortable yet supple. Sonic Welded Jetpilot Icon: This industrial process applies intense acoustic vibrations to two materials under pressure. This creates a solid-state weld between the two materials, this allows them to essential weld different materials below their melting point, good tech!